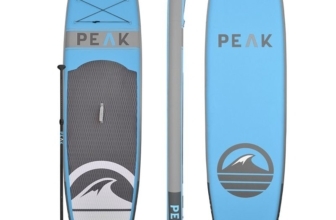 The Best Stand Up Paddle Board Reviews! 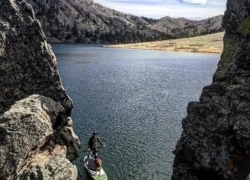 Who is Stand Up Paddle Board Guide? Hi, I’m Sam. I’ve been an avid stand up paddle boarder for the past 15 years. Over the past few years I’ve seen the SUP industry change tremendously. When I first started there were only a handful of manufactures and a very limited selection. 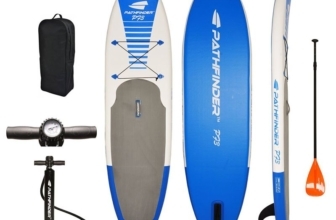 Nowadays, you have a wide variety of both rigid and inflatable standup paddle boards which can make finding the best one challenging. I started this blog to share my extensive knowledge of stand up paddle boarding with you. I’ve traveled all over the world and paddle boarded in some of the most amazing, picturesque places you can imagine. It is my hope that you will learn about SUP and be able to share your own paddle board adventures with me. The best unbiased product reviews of best rigid and inflatable stand up paddle board reviews on the net. Comprehensive guides to the top SUP gear and accessories. Exclusive iSUP deals and coupons. Beginners guides and tutorials for newcomers to stand up paddle boarding. Coverage on the best places in the world to go paddle boarding. What's So Special About Stand Up Paddle Boarding? 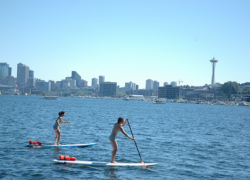 The popularity of stand up paddle boarding is booming! 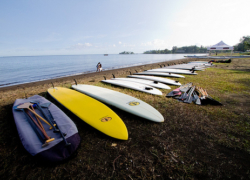 More and more you’ll see an influx of both traditional paddle boarders, who use fiberglass or epoxy SUPs, and new age paddlers, who prefer inflatable stand up paddle stand up paddle boards, out on the water. Since 2004 the number of searches related to “stand up paddle boarding” has almost quadrupled with spikes in the summer months that are off the chart! The spikes you see on the chart above are caused by the inherent seasonality of paddle boarding. People seem to be more interested in stand up paddle boarding during the summer than in the winter. And we can’t say we blame them. It’s cold and wetsuits are a pain to get on and off! 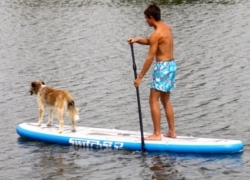 If you thought stand up paddle boarding was a fad, guess again. Paddle boarding is here to stay. Next time you’re at the beach, go ahead and rent one and give it a try. It’s really easy to get started. 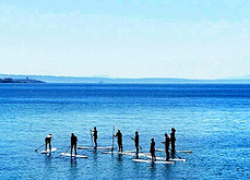 Want to learn more about stand up paddle boarding? The posts below will get you started. Whether you’re a newcomer to the sport or an expert paddle boarder, there is always something new to learn. 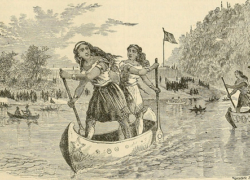 Personally I was fascinated about the history of SUP. You can find the link below. What’s the best SUP for me?